Master Sgt. (E-8) Antony (Tony) Trujillo served honorably from 1960 to 1979. 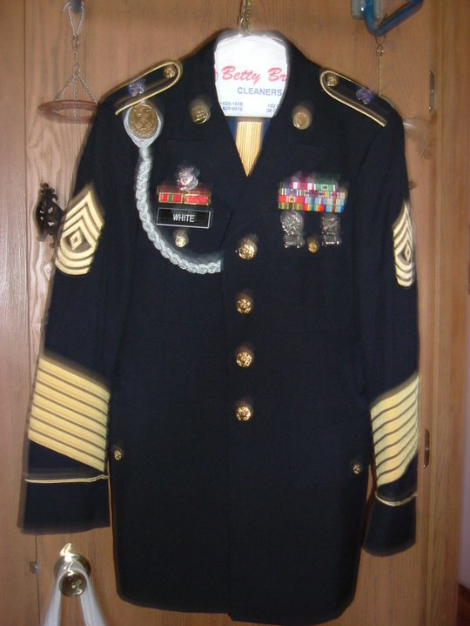 Master Sgt Trujillo served in Vietnam and was awarded the Vietnam Service Medal, National Defense Medal, Bronze Star, Army Commendation Medal with 2 Oak Leaf Clusters. He shot Expert Rifle. His other accomplishments are AJSTM-CSM-OS with 2 Service Bars, MUC/VOCFGWP, AOM/GER. My wife and I wish to extend our sincere condolences to the family and friends of this true American Hero, US Army (Ret), Viet Nam War Veteran, Master Sergeant (MSG) Anthony “Tony” Ernest Trujillo. We thank you for your service to a grateful nation, may your family find peace in knowing you served proudly and comfort in the months to come. May you rest in peace for your mission is now complete. I salute you.